Prepare yourself for long nights scratching your head for the solution in this logical game. 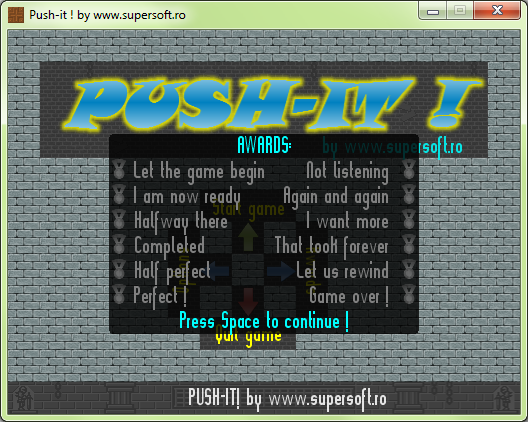 Welcome to the world of Push-It! Prepare yourself for long nights scratching your head for the solution in this logical game. 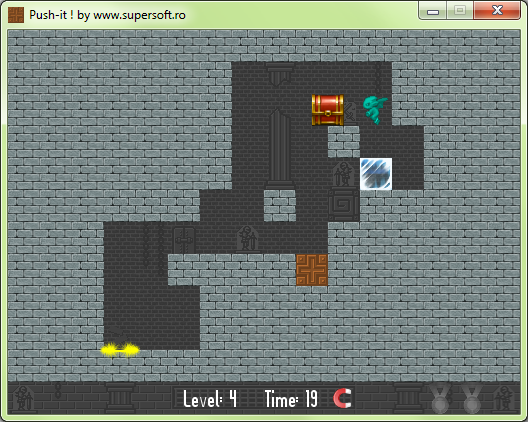 The goal of each level is to move the treasure chest onto the exit, with the character, using the WSAD or arrow keys. Sounds even possible to get stuck on a single level for some hours until getting that Eureka! moment. But is best for you to decide that !